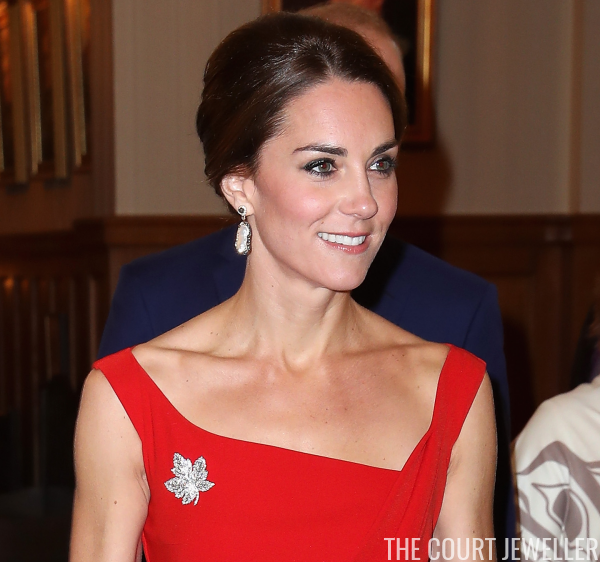 After a day of casual events in Bella Bella, the Duke and Duchess of Cambridge fancied up for an evening Government House reception in Victoria. Kate wore a new red gown by Preen -- and added a few blingy touches, too. 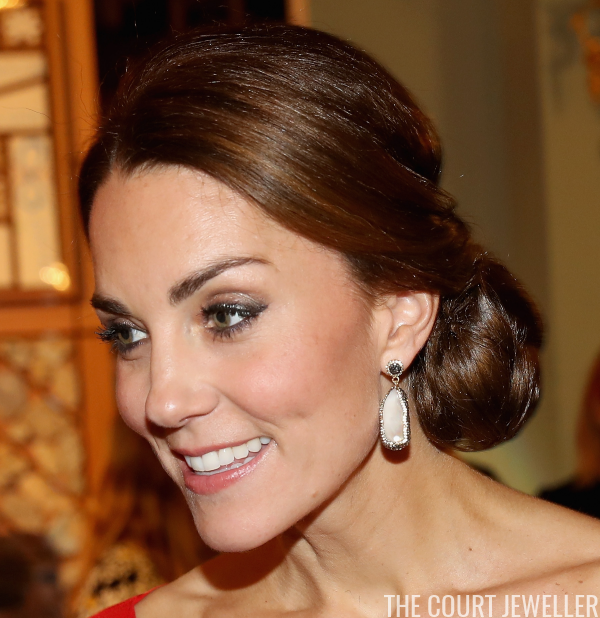 Kate's earrings are a pair we've seen before: the baroque pearl and Swarovski crystal earrings from Soru Jewellery. Kate debuted these earlier this year, with outings at the Natural History Museum and at Wimbledon. Love that the updo gives us a great look at the earrings. We also saw a second outing on this tour for the Diamond Maple Leaf Brooch, which has been loaned to Kate for the tour by the Queen. The brooch was made by Asprey in 1939 for the Queen Mother. You can read about its history here and see photos of Kate wearing it on her arrival in Canada here. I love the dress, and you all know that I love it when Kate brings out a brooch, but I'm not completely sold on the brooch's placement on the gown. What say you?